Sachin: A Billion Dreams' box office report card currently reads Rs 38.80 crore for all language, reported trade analyst Taran Adarsh. Sachin Tendulkar's documentary drama opened to great reviews and a good box office score on May 26. Sunday is when the film scored the highest with 10.25 crore. Sachin: A Billion Dreams is a documentary style biopic of sorts, which also stars Sachin's wife Anjali Tendulkar and children Sara and Arjun. Sachin's fellow cricketers M S Dhoni and Virender Sehwag also have appearances in the movie. Naturally, the film has struck a chord with cricket lovers and is widely being hailed as inspiring. Sachin: A Billion Dreams clashed at the box office with Johnny Depp's Pirates Of The Caribbean: Dead Men Tell No Tales when it released last Friday. #SachinABillionDreams Fri 8.60 cr, Sat 9.20 cr, Sun 10.25 cr, Mon 4.20 cr, Tue 3.50 cr, Wed 3.05 cr. Total: Rs 38.80 cr [all languages]. Irrfan Khan's Hindi Medium, which had arrived at theatres on May 19, was joined by Sachin: A Billion Dreams on its second week. The box office collections for both the movies are already at par. Meanwhile, Sachin Tendulkar's film will have new box office competitors tomorrow. Priyanka Chopra's Baywatch releases in India tomorrow along with Manisha Koirala's Dear Maya and Huma Qureshi's Dobaraa. 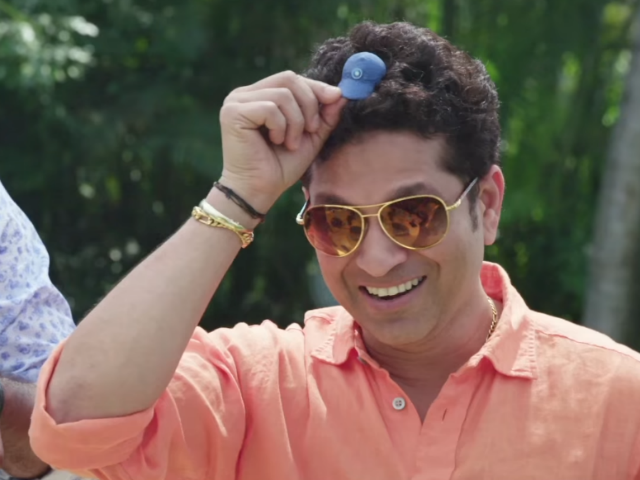 Of Sachin: A Billion Dreams, Raja Sen writes in his review for NDTV that Sachin fans enjoyed it all the more because of its documentary format. "This is a documentary not merely about the man with that name, but one narrated by him, one where he tells his own story in his own words. It is not journalistic or incisive or probing. It feels, instead, intimate - as intimate as it can feel, anyway, for a film where an audience claps and cheers alongside those who clapped and cheered live, years ago. Which is to say: it is us today applauding in time with us yesterday," reads his review.